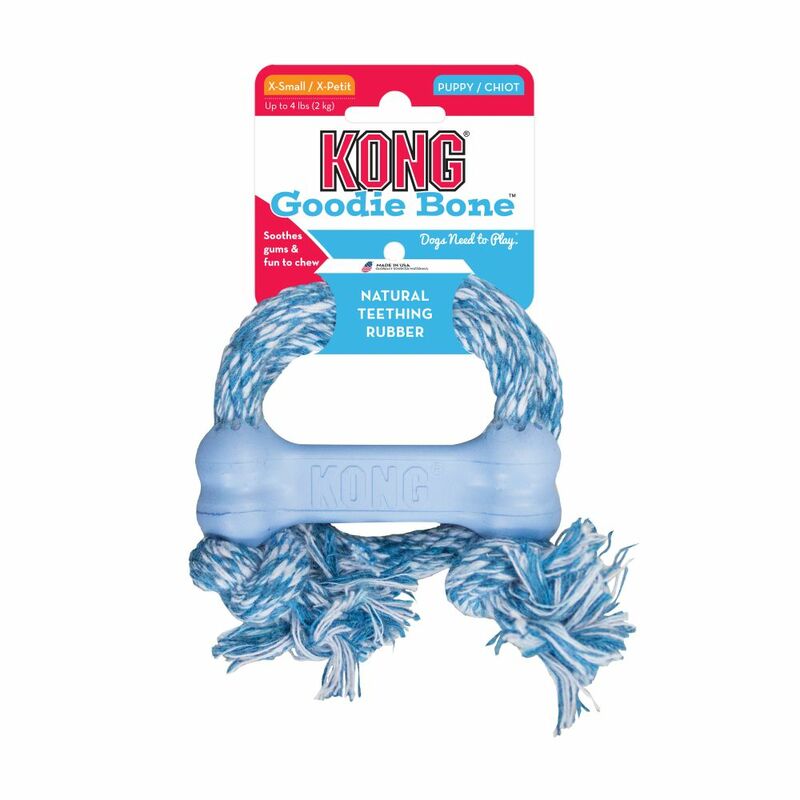 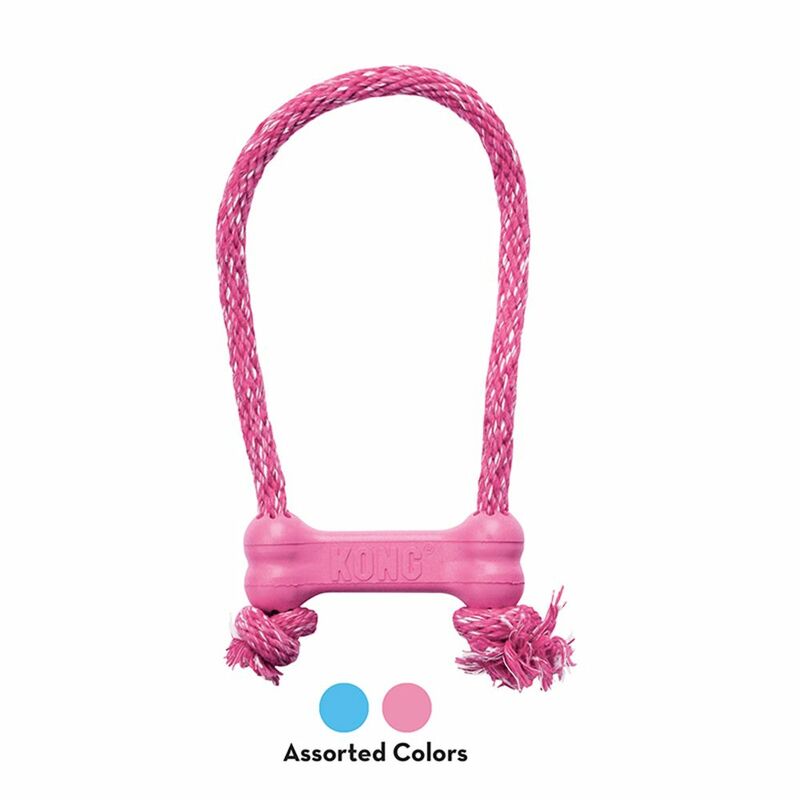 The KONG Puppy Goodie Bone™ with Rope engages puppies that delight in chew sessions, while the all-natural cotton rope making it an ideal toy to fulfill a puppy's instinctual needs. 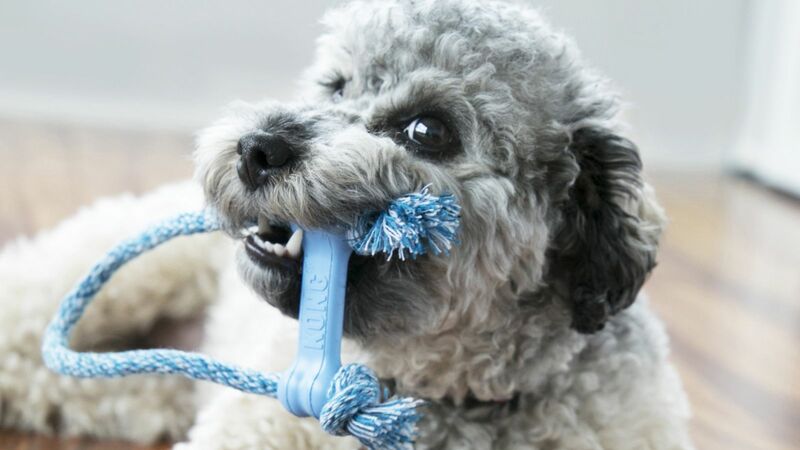 Made from the KONG Classic unique a puppy rubber, this bone teaches puppies appropriate chewing behavior while easing aching teeth and gums. 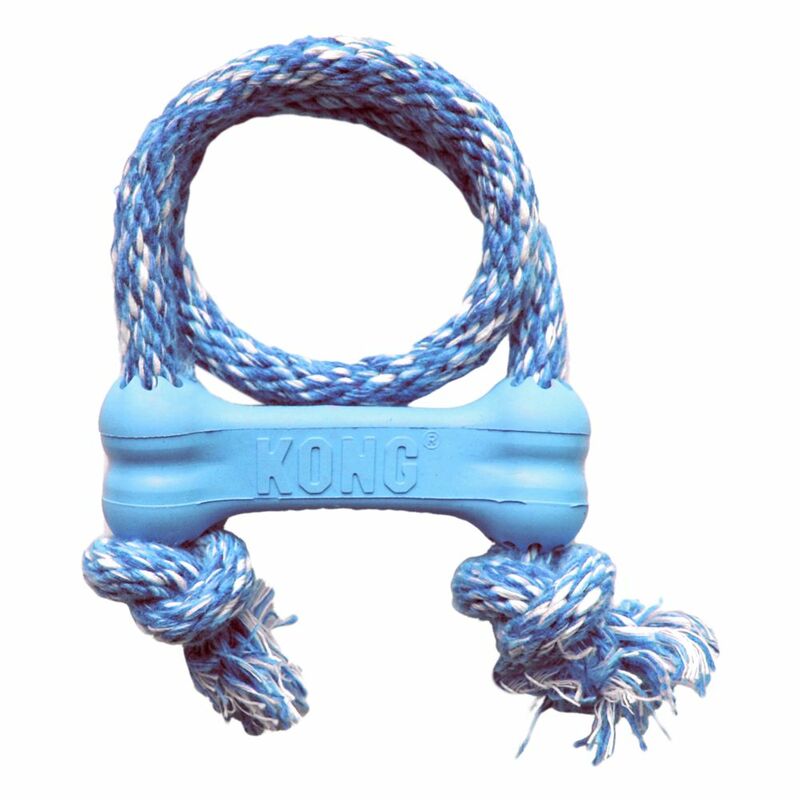 It also has the added delight of an all-cotton rope that gives puppies multiple chewing choices.